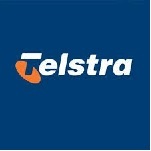 Telstra has announced it will cut 1100 jobs as part of the next stage of a major restructure announced last May. The bulk of the job losses are expected to come from Telstra Operations, the business unit that handles the design, construction, and operation of Telstra’s networks, plus the delivery of some customer services. The latest cuts mean Telstra has shed nearly 4 percent of its Australian workforce of 30,000 in one hit. The jobs will be cut from the business by June 2014. Telstra’s chief operations officer Brendon Riley said the cuts were aimed at removing duplications from the business as it grows its network applications and services division. The company has so far only briefed half of the workers who will be impacted by the cuts. These include fixed network technicians in New South Wales, Victoria, ACT and Tasmania, the media operations team and the customer service team. Mr Riley told reporters this afternoon that he could not rule out further cuts to other divisions before the end of the year. “It’s possible, I don’t have any insights I can share today,” he said. While this may not be like for like shifting of roles to Asia the simple equation is that Telstra is reducing its Australian workforce while at the same time increasing its Asian workforce. There is no doubt that telecommunications companies like Telstra need to be constantly changing and adapting their business to survive. If they chose Telstra could do that change and adaptation within Australia but the lure of a cheaper Asian labour pool with wider depth of talent is too strong. Large telco’s are going to continue to fragment as their company structure becomes a fluid mix of business units that are deployed globally. One thing we can be sure of is that the number of permanent Australian based employees of Telstra are going to continue to decline sooner rather than later. Death by caffeine – how much is too much?